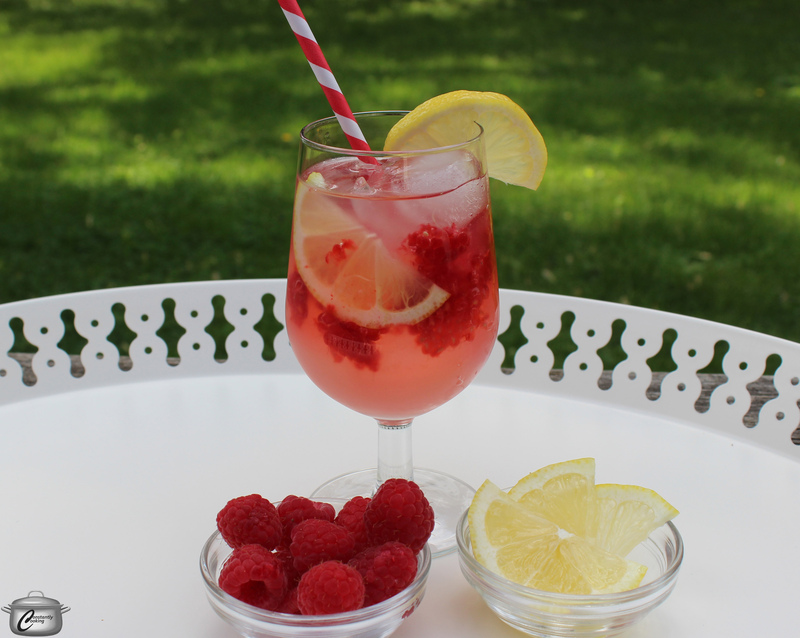 There’s not too many things I find more refreshing on a hot summer’s day than icy cold lemonade, and when it’s made with fresh berries it’s even better. Muddling (gently squashing) the berries releases some of their flavour into the lemonade without overpowering it. I like to serve this drink with spoons available so people can scoop out the fruit at the bottom of the glass and enjoy it. I like to keep a jar of simple syrup on hand in the fridge so I can mix up a single glass or a whole pitcher of lemonade whenever the mood strikes; simple syrup is great because it dissolves quickly when mixed with the fresh lemon juice and it’s easier to control the sweetness of your drinks. Of course, you can ‘spike’ this lemonade with gin or vodka if that’s your preference. For picnics, I’ve got a great trick that will keep the mixture cold without diluting it. The night before, freeze the freshly-squeezed lemon juice and the simple syrup in ice cube tray. When packing your picnic, find a vessel with a tight lid (large canning jars are great) and in it, combine an equal number of lemon juice cubes and simple syrup cubes, then add the appropriate amount of plain ice cubes and water (using a bit less water and bit more plain ice than normal), slightly crushed berries and lemon slices. The cubes will thaw enroute so you’ve got perfect lemonade to enjoy in an hour or two. Be sure to give the mixture a gentle shake before serving. If you enjoy this recipe, you might also like this tasty sparkling ginger-mint lemonade. Make the syrup by combining the water and sugar in a small saucepan. Bring to a boil over medium heat and stir until sugar is dissolved. Transfer to a heatproof jar; cover and refrigerate until chilled. To prepare one glass of lemonade, combine 3 tbsp each of the syrup and lemon juice in a glass. Add the berries and muddle or crush them slightly with a wooden spoon. Add the water and lemon slices and stir gently. Add ice to fill the glass and serve immediately. If making a pitcher, follow the same process but use greater quantities of the ingredients, in the same proportions. 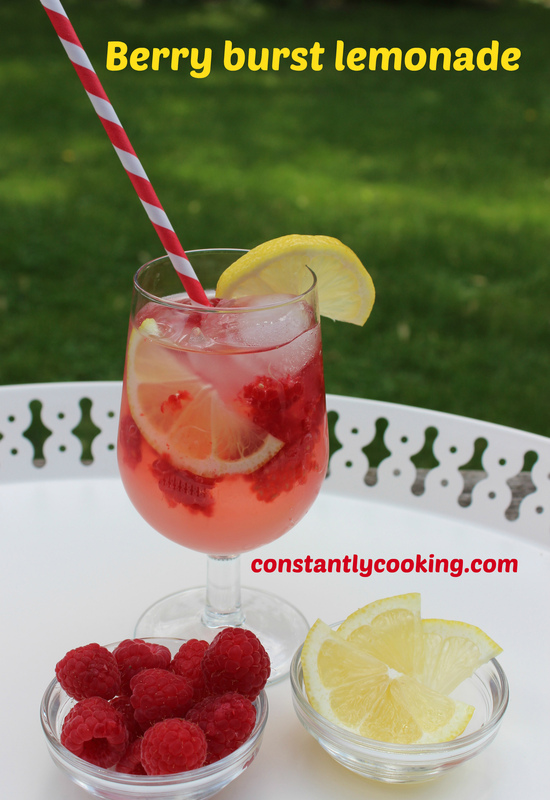 This entry was posted in beverage, Drinks and tagged beverage, drink, fancy lemonade, fresh lemonade, gin lemonade, lemonade, lemonade with berries, mocktail, Paula Roy, picnic, simple syrup, vodka lemonade, what to drink at a picnic. Bookmark the permalink.